An Australia man on vacation in Bali claims he brought home a completely disgusting souvenir. According to the Daily News, Dylan Thomas noticed an angry red line developing near his belly button. He visited the doctor who prescribed him an antihistamine, but the line kept getting bigger and developed blisters. Eventually, doctors figured out the real cause of his mystery illness: a motherfucking spider. 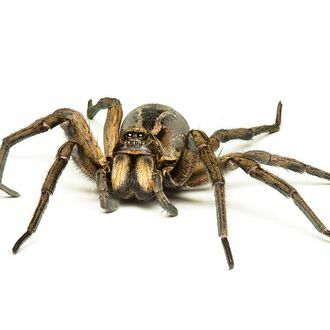 According to Thomas’s Facebook, the spider burrowed inside his body through a scar he acquired during a recent appendectomy, then traveled under his skin all the way up to his sternum, where it lived for three days. It was only “a bit bigger than the size of a matchhead,” Thomas said, but like you always tell your boyfriend: Size doesn’t matter. It’s still a man-inhabiting spider. Rage, rage against the deathly spider bite. Also, never go to Bali.